Car is great so far. Just had a couple of questions. There is a bulb in the headlight that seem to be on all the time, no matter what setting I put it on. It looks like an H7 bulb...but my question is ..is this normal? I guess it's like a DRL? I put the "parking" lights on, that seems to be the curvy while line, and the highs bring up another light - I guess it's the low beam then? Just making sure that is designed to stay on all the time or there is a setting I am missing. I think the fog light is either out or I don't know how to turn them on. Is it easy to access the fogs? 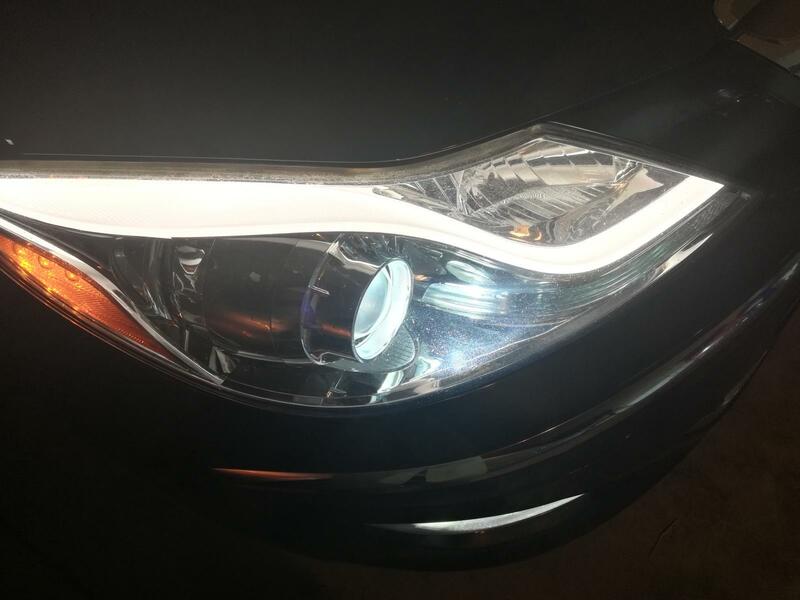 Thereare some center lights that are your daytime driving lights (DRLs). Whenyou click the light stalk to the first position, it moves to parking lights and that is when the'eyebrow' lights come on. Move the switch again and the DRLs shut off andthe headlights come on meanwhile the eyebrows stay lit. Not sure aboutthe fog lights, that may be a separate button on the dash. Just gota 2013 myself and trying to figure out what is normal and what isn't. Ithink the low-tone horn is out and will need replacing. My trunk leakedaround the taillight (I siliconed around that so hopefully that is thefix). Lastly I've got a pretty good drone noise at speeds over 30 mphthat is intermittent that could be tires or maybe a wheel bearing. Otherthan these items, I'm very happy with the car. Ok, thanks for the feedback; I will give it a try. Am I correct in assuming that there are no aftermarket double din conversion kit for models that lack navigation/gps? I have looked for about an hour everywhere and couldn't find a single thing. I assume the reason being is that the head unit is simply a screen and the actual guts is in the DVD unit below. Found an actual oem kit (dvd player/screen/and the center stack with circular knob for 450; I may get it once I get to know the car better)....but kind of a shame this would be the only route available. IMG_20180626_202230_zpsbgl7oaiy.JPGIMG_20180626_202223_zps6xvqaegd.JPGI guess this post is worthless without pics. Attached a couple. I did figure out how to turn on fog lights - Now Just trying to figure out about that daytime running light thing. Thanks. Still learning the car. 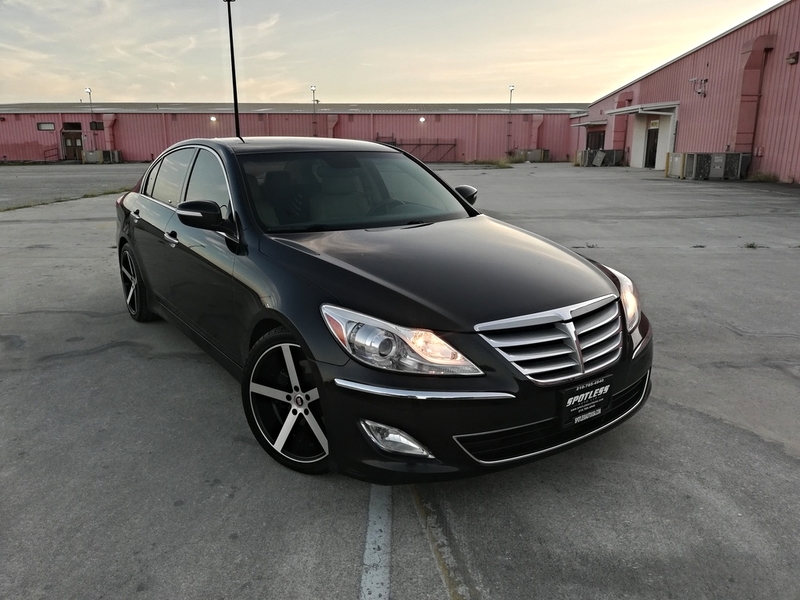 Still trying to hunt down a way to have an android unit on this car...from what I can tell it's virtually impossible for a plug and play...I can't even find a wiring harness for the audio. I am really enjoying the car - Really comfortable even after I swapped the wheels to 245,40, R19 though I do feel the added rotational mass. 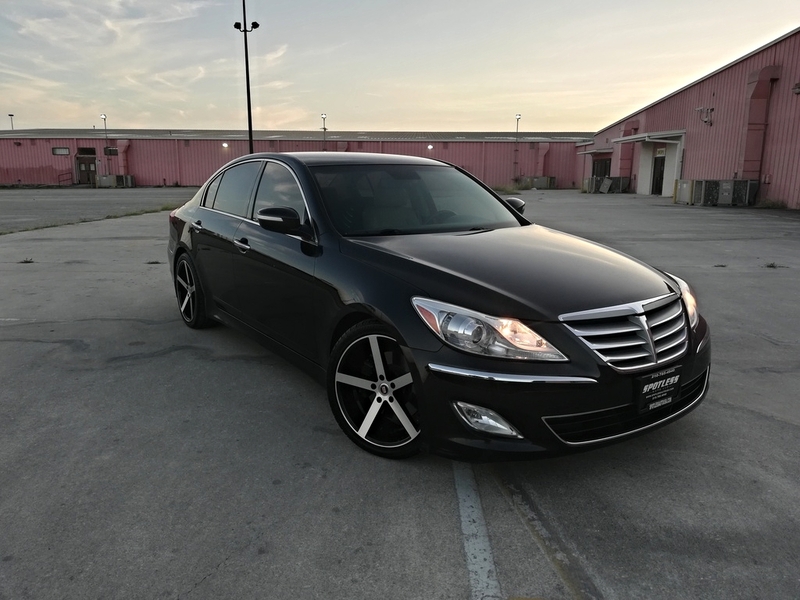 The 55s make this car just glide on clouds but I hate 17" rims...it is trully too small visually for a car this caliber...too much of an Avalon look. Did it come with an owners manual?